It’s that time of year where we all (yes Ladies and Gents) ask ourselves whether we should go for a big chop. For women its the short ‘boy cut’ dyed hair look, and men its the shaved look. For me the summer time is the only legitimate time that I can go really short and not have the fear of having a cold head or looking like a boy when wearing a hat. Now shamefully it has been quite a while since I had my last haircut (which I think was sometime in the new year). No longer needing to grow my hair, as I was doing last year for my wedding it was time for Mrs J to have a makeover! My chosen venue was The Drawing Room. Located within walking distance from Liverpool street station and not far from Spitalfields market. The Drawing Room is the perfect convenient location. To view The Drawing Room’s site click here. On arrival I was greeted by a friendly member of staff in the reception area and was offered a drink (and yes ladies cocktails were an option). The setting and style of the Salon is stylish yet simple with no airs and graces. I felt totally at home! 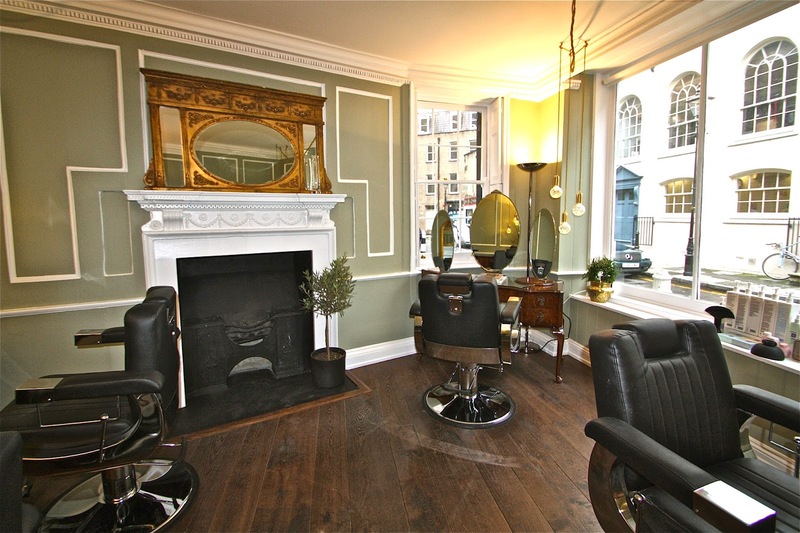 The Drawing room has many established hair stylists. I was getting my hair cut by one of the founders Oskar Pera. Oskar did his training in the famous hair styling academy of Seville, and then went on to cut and style hair for Europes high society. He has styled brands such as Dior and Erdem and celebrities like Florence Welch, Cara Delevigne and now Mrs Jonas! To view Oskar’s editorial profile click here. Mrs J: How did The Drawing Room come about? Oskar: After working in different locations around the world and for different Brands, opening The Drawing Room was naturally the next step. Mrs J – What did you want to be when you were growing up? Oskar: A hair stylist. My parents tried to discourage me, but hairdressing is in the blood. My mother and brother are both in the industry. Mrs J – What is your one memorable proud moment of your career? Mrs J – Whose hair would you most like to style? Mrs J – If you were not a hair stylist what would you be? Oskar: An interior designer. Ive had a lot of fun decoration the Salon. Mrs J – A lot of people style their hair with heat whether it be a hair-dryer or hair straighteners. Do you have any advice or recommendations on how to protect your hair? Oskar: Stop straightening your hair! If you have to then protect your hair, make sure you have the right product. I.e. blow dry cream if you are blow drying your hair. Most products contain some heat protector and don’t have to be expensive to do the job. Mrs J – I’ve often been told that healthy hair comes from regular haircuts. What is the right amount of time in between a haircut? Oskar: It depends on the length and style of your hair. But generally 8 weeks for shorter hair and 12 for longer hair. Mrs J – Finally – If I gave you full free reign over my hair, what would you do? Oskar: I would leave the cut, but put in some light peachy coloured tones. I would recommend The Drawing Room to all of you. One key take away for me was that Oskar really looked at the condition of my hair and helped me embrace my natural curls. What he didnt do was sent me out with a perfectly groomed hairdo that i would never be able to recreate again. for that reason alone I will be heading back to The Drawing Room for my next chop!